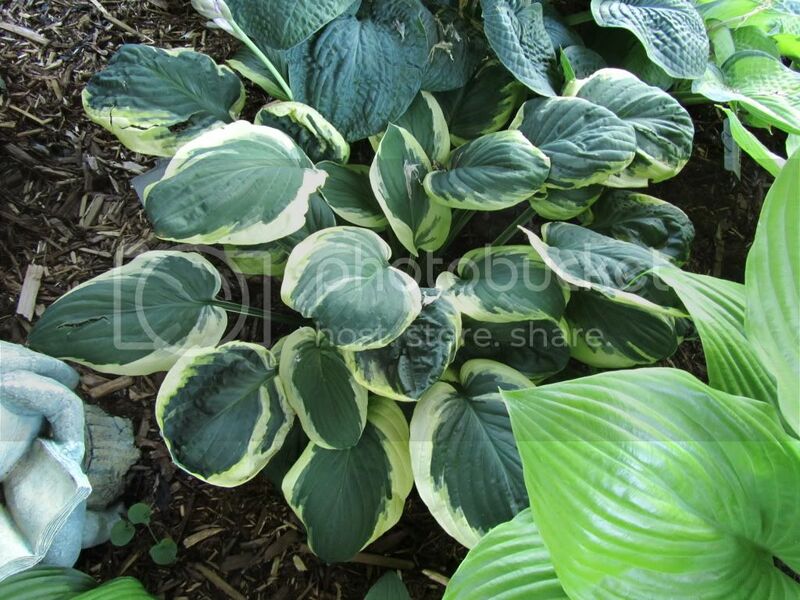 This week's final hosta is hosta 'Carnival'. 'Carnival' can be a very beautiful hosta, especially as it ages. The more mature it gets, the more the leaves will show corrugation and all of the colors will show. 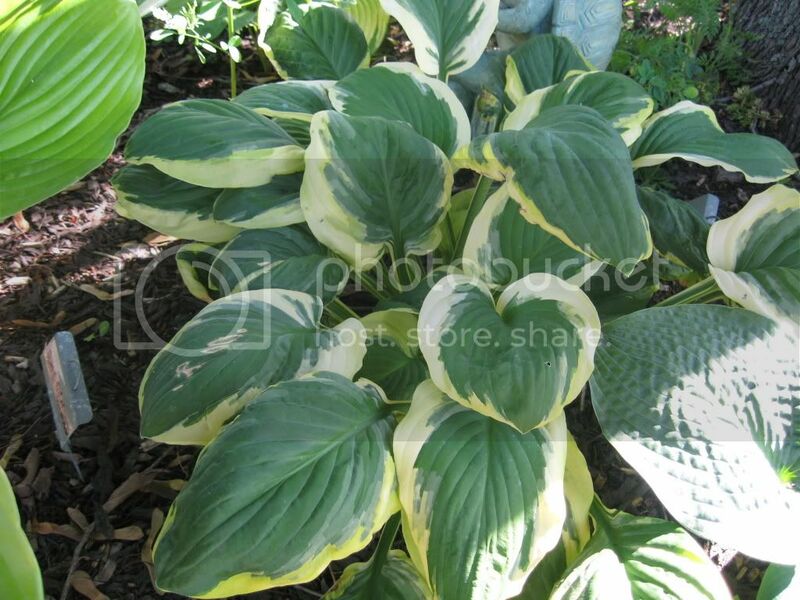 'Carnival' has a dark green center with a white/yellow margin, making it what I like to call a tri-color hosta. Because we have cooler springs here in Wisconsin, 'Carnival' can also be an ugly hosta because it's leaves has a tendency to get drawstring. Drawstring means that the center of the hosta actually grows faster then the edges of the hosta. Thus the hosta leaf will look like there is a drawstring around the outside that is pulled tightly. Usually the more the leaf the develops the edges will actually tear. Drawstring usually occurs only in spring, and as the summer progresses less and less of the leaves will appear this way. I usually pull the leaves that have drawstring off in spring.